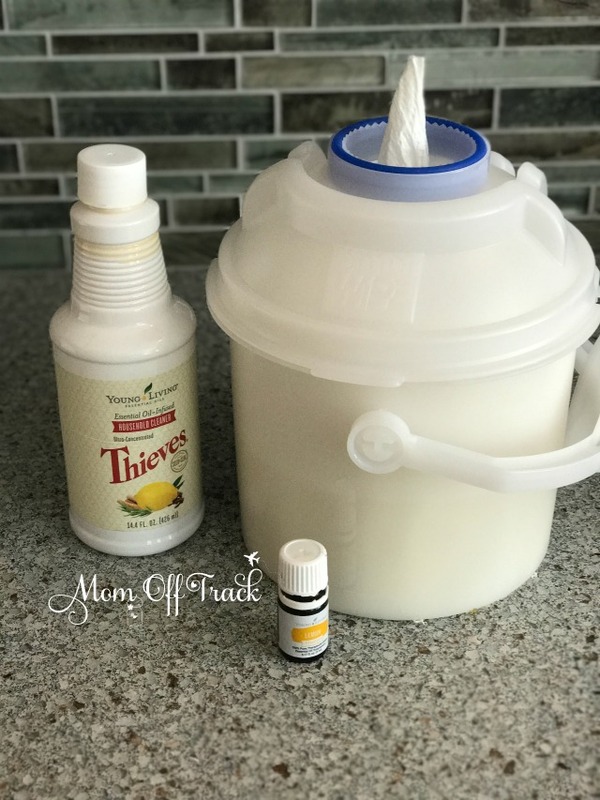 DIY Cleaning Wipes with Thieves Cleaner and Lemon Essential Oil are the perfect alternative to those expensive, chemical laden, store bought ones we all rely on for counter top and spill cleanups. 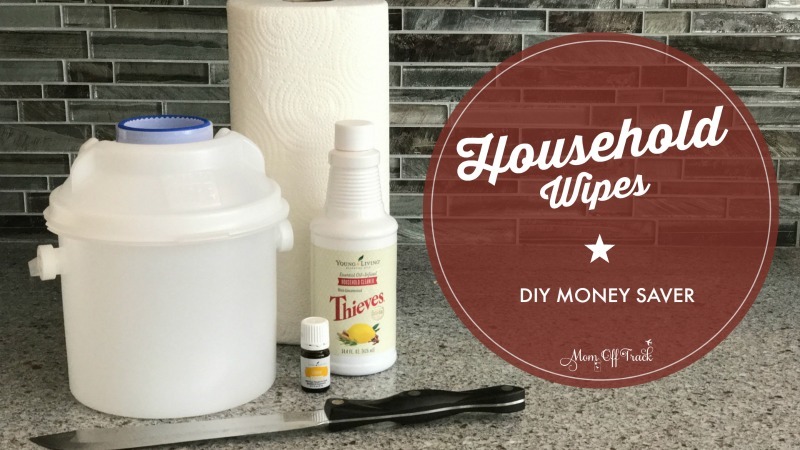 These are so easy and inexpensive to make you will never revert back plus you can feel safe using them. They smell so much better than those bleach ones. Bonus: they don’t leave your hands feeling dry and nasty! 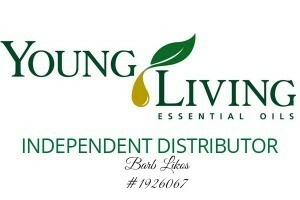 We use these on everything in the house, including my son’s cpap mask! Roll of paper towels. I have used Bounty and Scott and not had issues but a quick scan on google shows others warning against using the cheaper brands because they turn to mush. 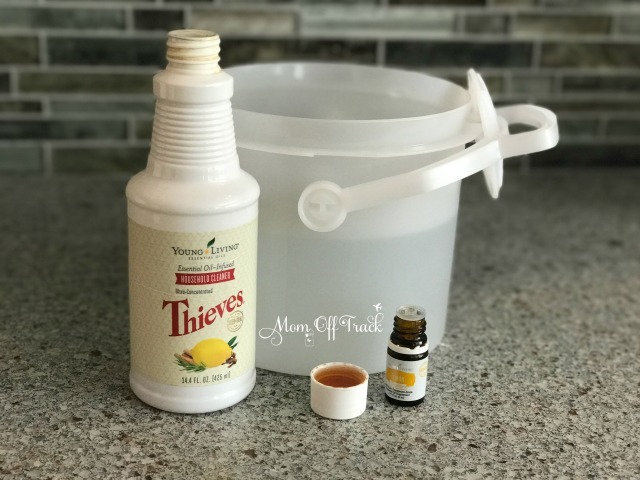 Young Living Lemon Essential Oil-take advantage of my $25 refund with Young Living Premium Starter Kit Amazon promo and you could get the Omni-Wipe Container FREE with your rebate PLUS get the oil and Thieves Cleaner at 24% off. 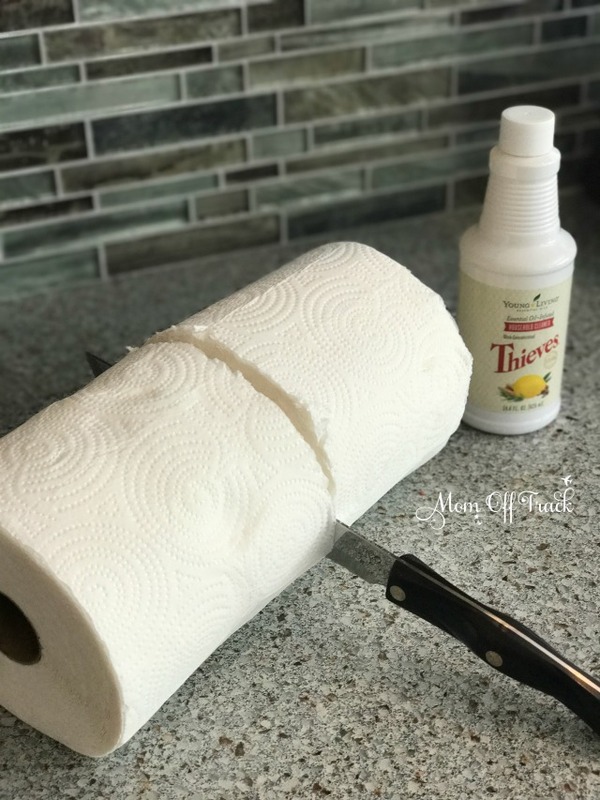 Using large knife (love my Cutco for this) cut paper towel roll in half. Remove cardboard tube from center of roll. It will just slide out. 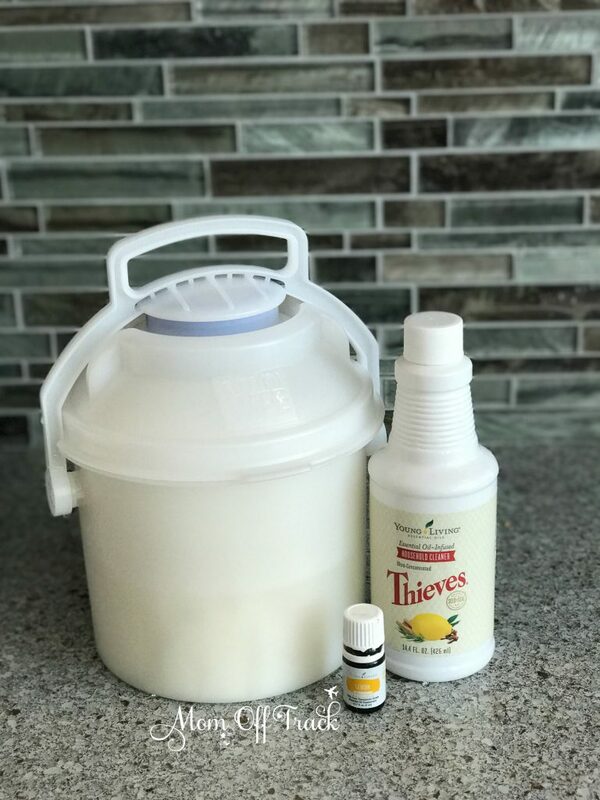 Fill Omni Wipe Container with 2 cups of water adding 1 capful of Thieves Cleaner and 5 drops of lemon essential oil. Stir well. By the way, did you know the foil liner on the inside of lid serves a purpose? Don’t rip it off. Poke a hole in the center circle and you can easily fill the cap without spilling or wasting any of it. 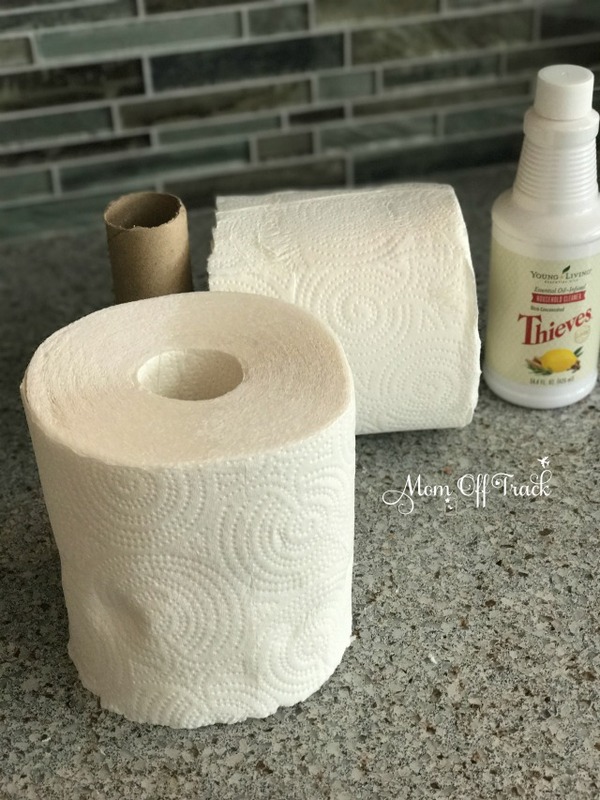 Pull out the paper towel towel roll starting in THE MIDDLE. Place roll into the container. 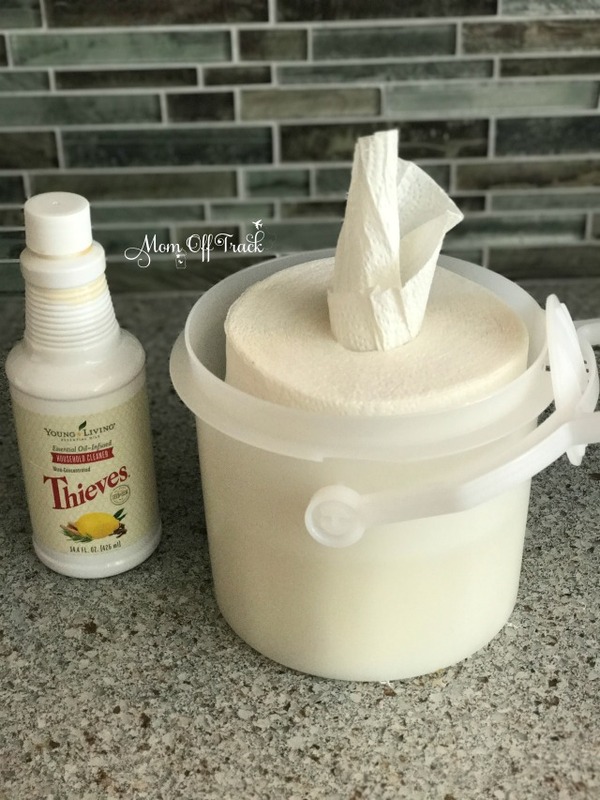 Place the lid back on, feeding the paper towel middle through the lid on the container and wait about 10 mins for the mixture to soak the towels. Store with the container cap on. Love to pin? Here you go…. Where did you get your container? I looked on Amazon didn’t see it there by the description.